Non-Cheesy Wedding Poem | Ms Moem | Poems. Life. Etc. 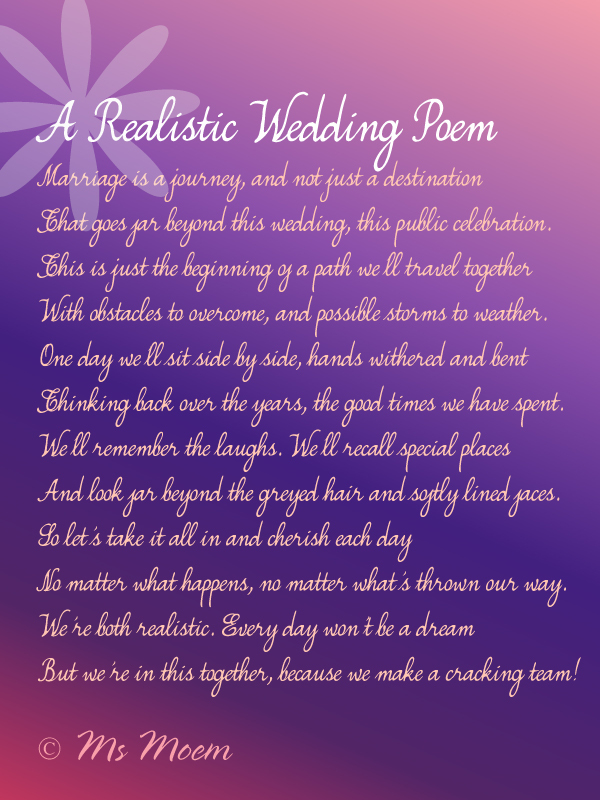 This non-cheesy wedding poem is my Realistic Wedding Poem. << Click for full text.